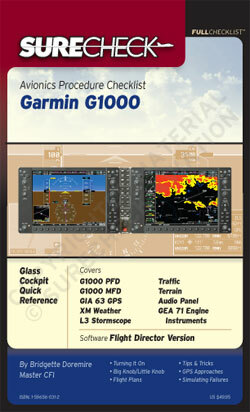 These checklists are your in-flight reference for using the sophisticated avionics packages found in today's aircraft. They contain easy-to-understand, button-by-button instructions for the major features. Edge-tab layout is as easy to use as single-page versions, but with the benefit of having more comprehensive, detailed data broken into sections for immediate access.